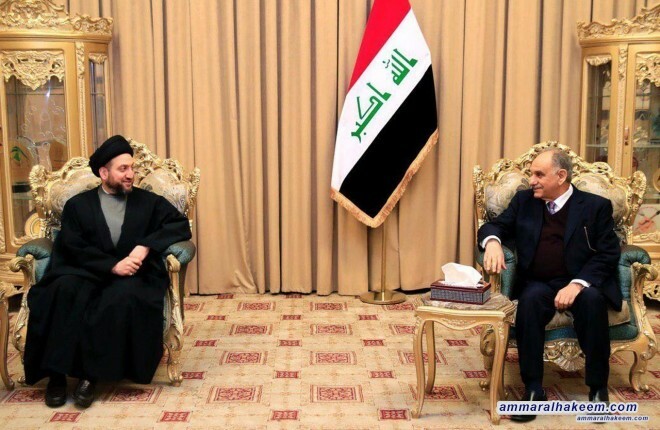 His eminence with Mutlaq discussed latest political situation and completing government cabinet. His eminence called on the political blocs to assume their responsibilities in completing the government cabinet and to give priority to national interest, indicated that advancement of service and development in the country is an urgent need for the Iraqi citizen, and stressed on making it a top priority. His eminence pointed to the necessity of investing capacities and potentials to achieve prosperity and good life for the Iraqi citizens and to consolidate the spirit of citizenship and social harmony in the country. His eminence covered the expediting steps towards institutionalizing the Reform and Reconstruction Alliance to present the first national political institution under laws and mechanisms of institutional work for action.